By admin in News on December 12, 2014 . It has been said that great things come from humble beginnings. For example, considerhow the anticipation of and birth of a single child in Bethlehem has given rise to more festivitiesand customs than any other event in the history of the Western world. 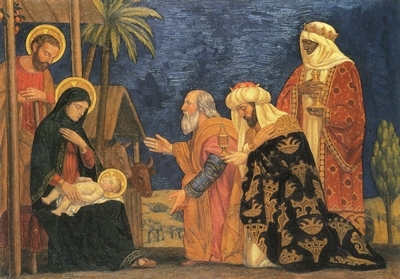 Throughout our land thebirth of the Christ is remembered in a myriad of forms. From church services and carols tofamily parties and television specials, it is impossible to ignore the advent of the day we chooseto remember His birth. Through a plethora of activities we personalize our remembrance of thatbirth which was devoid of all pretension. One of the more enduring traditions is that of the Christmas wreath. That evergreen arrangement which can be seen hanging at the entrances of so manyhomes, businesses and churches throughout our country. Meant as a form of greeting and awish of good will to visitors, I myself find it in many ways to be reflective of our Masonic values.It’s circular form can be taken as a reference to our eternal nature and a reminder that the twin virtues of generosity and love should be manifested without end by our thoughts and actions.The woven branches serve as an example of harmony in purpose and a reminder of our need torely upon one another if we are to fulfill our purpose as Sir Knights. The conifer branches whichcompose this festive garland serve as an expression of hope for the ensuing rebirth of springamidst the deathlike sleep of winter. We, as servants of Christ, know that after this often wearywinter of life; we shall live again. All of us have much to celebrate this holiday season. We above all other men, SirKnights, have much to be grateful for. We have been blessed with the gift of Light and asMasons and Templars we are bound to reflect that Illumination to all we come in contact with.From the millionaire in his mansion to the vagrant in the gutter, the Good News of hope isintended for all and we as His soldiers should ever be prepared to practice the only real religion.That belief system spoken of by James in the final books of the New Testament. The faithwhose doctrine consists solely of visiting the fatherless and widows in their affliction andkeeping ourselves unspotted from the world. This holiday season, let us renew our faith and practice our principles with the world atlarge. Amidst the festivities, merriments and preparation for the big day, it is my hope andprayer that each of us will remember to hang the wreath of love and hope upon the door of ourhearts for all to see. However, mere example is not enough. Let us stretch forth our hands tolift up the downtrodden and welcome all as our own; for by doing so we are giving life to theteachings of that humble carpenter from Galilee. Not as a means of aggrandisement or selfpreservation but as an expression of the love we should have for our fellow man, regardless ofwho he is. For as Christ came for all, so should we as his declared servants, follow his exampleand ever strive to extend generosity and love unto all. May the peace and joy of the New Law of Love be yours in the coming year. Square upyour shoulders and man your post. Take up your tools and help to build up others in the truespirit of the one whom we call Christ; for only by sharing our Light can we hope to retain thatwhich we have received.